Cleanse and hydrate without the weight. Jojoba, Avocado and Geranium deliver a beautifully lightweight conditioner for tangle free, smooth and manageable hair. Hydrate hair without weighing it down. Delicately enriched with Jojoba, Avocado and Geranium for lightweight, tangle free conditioning with no heavy after feel. For best results use after A'kin Purifying Lemongrass & Juniper Shampoo. After shampooing, massage a generous amount into wet hair and scalp. Rinse thoroughly. 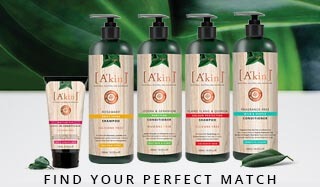 For best results use after A'kin Purifying Lemongrass & Juniper Shampoo. 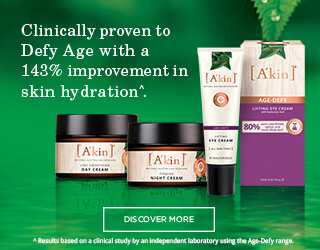 Aqua (purified Australian water), Glycerin*, Cetearyl Alcohol*, Behentrimonium Methosulfate*~, Hydrolyzed Wheat Protein#, Simmondsia Chinensis (Jojoba) Seed Oil*, Macadamia Ternifolia Seed Oil*, Persea Gratissima (Avocado) Oil†, Lecithin#, Glyceryl Laurate*, Sodium Gluconate*, Potassium Sorbate, Citric Acid*, Lavandula Angustifolia (Lavender) Oil*, Pelargonium Graveolens (Geranium) Flower Oil*, Citrus Aurantium Amara (Bitter Orange) Leaf/Twig Oil*, Rosmarinus Officinalis (Rosemary) Leaf Oil*, Elettaria Cardamomum Seed Oil*, Pogostemon Cablin (Patchouli) Oil*, Tocopherol*, Ascorbyl Palmitate*, Hydrogenated Palm Glycerides Citrate*, Citronellol*, Geraniol*, Linalool*.